Want to Transfer Data to Your Phone? Just Point and Shoot. Researchers at Google and MIT think they have come up with a novel way to transfer applications and data to a cellphone without a cable or wireless network. Their transfer mechanism of choice? The camera. The project, called “Deep Shot,” shows how one might zap a page on a map, complete with links, just by taking a picture of it. But instead of getting just a picture of the screen, the phone is also getting the code needed to go to that place on the map. It works by taking advantage of widely used Web technology known as a uniform resource identifier, or URI. 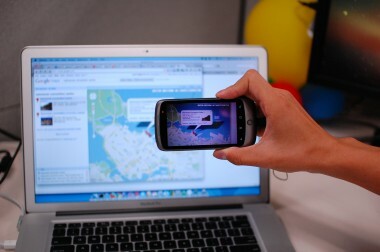 Programs use URIs to email links or embed code and Deep Shot transmits that URI to the cellphone camera. The project requires a small bit of code on both the phone and the computer. The benefit, though, is not constantly having to email links when one wants to download a map or other information to a mobile device. MIT graduate student Tsung-Hsiang Chang developed Deep Shot last summer, while an intern at Google, which owns the rights to the technology. Chang and Google’s Yang Li presented the technology in May at a computer-human interaction conference. In theory, the software technique could be used to send data among different programs as well, but that would require Google to open up the technology and it is not yet clear what its plans are, MIT said. Deep Shot is the latest in a series of efforts that recognize the cellphone camera as not just a means of taking pictures, but rather a sophisticated input mechanism capable of scanning bar codes and recognizing objects. 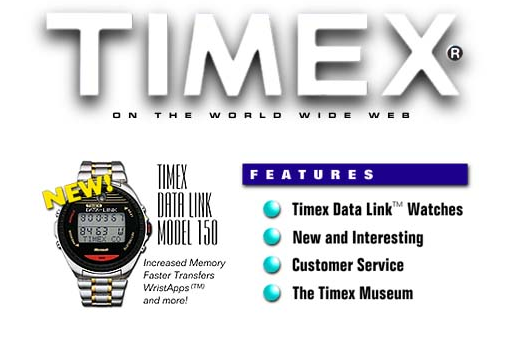 For some folks, Deep Shot may stir memories of a technology Timex built into a line of watches in the mid-90s — DataLink, a wireless, optical data transfer developed in partenership with Microsoft. Users would build a contact database on the computer, and then point the wristwatch’s imaging sensor at the screen while the data was transferred through a series of bar code-like flashing lines. Here’s a look at Deep Shot in action.